of homes, even temporary ones. 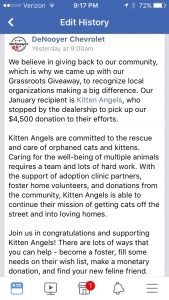 ways you can help Kitten Angels! See how you can help these little angels. We are a non-profit organization dedicated to rescue of abandoned & orphaned kittens, pregnant cats, mama cats & their kittens through foster care. So many kittens are in need of a loving home. Kitten Angels runs weekly adoptions clinics (Saturdays) at the PetSmart located in the Mohawk Commons Mall at 406 Balltown Road (corner of State Street and Balltown Road) in Niskayuna from 11AM to 3 PM (see map). On every other (Sunday) at Pet Supplies Plus in the University Plaza at 1235 Western Ave in Albany from 11 AM to 3 PM (see map) and every other (Sunday) Petsmart located in Amsterdam Commons at 4930 State Highway 30 in Amsterdam from 11 AM to 2 PM (see map)To confirm dates of Amsterdam Clinics, please text or call Lori @ 518-844-1828 Other select events around the Capital Region are held throughout the year. Please see our events calendar. 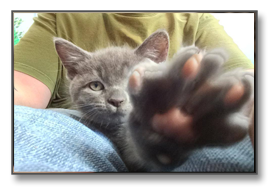 There are a number of ways to get involved with Kittens Angels. 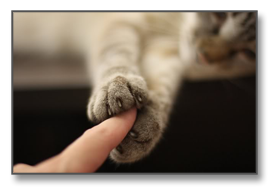 You can become a foster parent, adopt one of our kitties, or volunteer! Many of our kitties are in need of your help, please be sure to check out our Featured Cats! 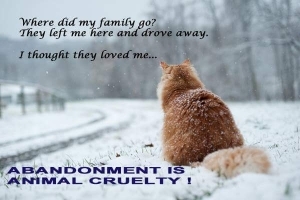 There are still dozens of cats and kittens that are in need of safe and good homes. Start your adoption process here. 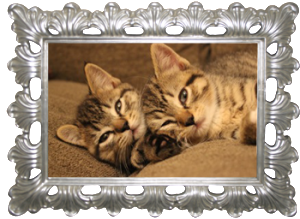 Fostering can be personally rewarding and a wonderful way to help Kitten Angels. Please consider opening your home to one of our kittens in need. Sign up now! There are many different ways you can help Kitten Angels and we welcome all types of help we can get! Learn how you can help. 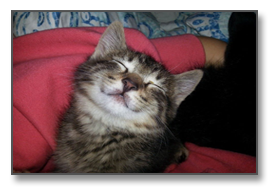 For every purchase you make on Amazon, AmazonSmile will donate 0.5% to Kitten Angels through their smile program when you chose Kitten Angels as your charity. to help with vet bills, medicines, vaccines, food, litter, just to name a few items needed to keep the organization running. 8. Share our pleas, our photos, our needs, our joys and sorrows with your friends. You never know, one may at this very moment need the love one of our angels has to give or be able to help at the very right moment. Spread the message of rescue. Spread the hope and the care. CELEBRATING FOUR YEARS OF FOSTERING FOR KITTEN ANGELS TODAY! Four years ago today, my friend Leslie and I drove up to a PetSmart adoption event to talk to Judie of Kitten Angels about fostering. We met a beautiful pregnant cat, who had just been dropped off. I said I’ll take her, but there was already a foster set up. We were driving back home, about a half an hour away when we got the call that the other foster hadn’t shown up. Both of us still remember how fast I made a U-Turn on that mountain road and headed back to get the pregnant cat who would be forever known as Sophia L’Orange. That started my journey, whose end is always “goodbye”. This is fostering. It is the being there to nurture and protect them, to socialize and safeguard them. And then, it is sending them off to live with wonderful families to free yourself up too to foster the next batch that desperately need you. It’s an amazing journey. Filled with love and sometimes tears, but always worth it. I learned long ago to never be afraid to ask for help; there is so much I wouldn’t be able to do on my own, that we can all do together. I have met some of the most incredible people through fostering, forged some wonderful friendships, seen some of the worst and some of the best. And am so grateful. There is a huge distinction between sheltering and fostering. Being able to house a large number of kittens versus having the time and resources to properly foster (socialize, tend to, treat, keep healthy) the kittens are entirely different. We foster. 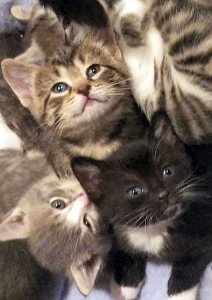 Fostering should never be about quantity, but rather about quality. And within these quality moments are are some of the most tender when they are even too small to know you exist. The moments when you watch, gratefully letting mom do what she does best and making sure she’s well taken care of and loved. These are the moments she gives you with trust. And as they grown, the trust each kitten gives you. These are the quiet times in our lives when we just know care and peace. This is part of fostering. This is part of their beginning. Kitten Angels, 233 Houseman St., Mayfield, NY 12117. 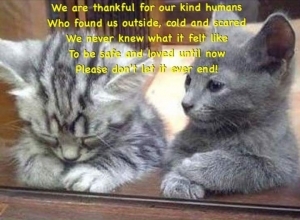 Kitten Angels is always grateful to anyone who wishes to become a foster parent to one or more our kitties in need. Please use the button below to submit you volunteer information!